Golden Eagle nesting season begins in February. SLCA and Hawkwatch International recommend avoiding the cave in early spring out of concern for the sensitivity of this species, and land manager concern over their conservation status. Monitoring by Hawkwatch will occur as the season progresses, to evaluate whether eagles choose to nest near the cave this year. 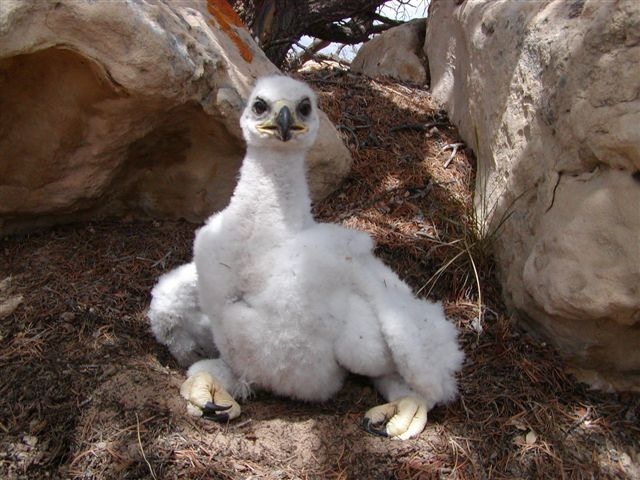 Golden eagles in the west desert almost always choose their nest site by April 1. For more information, questions, or to volunteer to help with monitoring and other raptor field work, feel free to contact Eric Chabot with Hawkwatch (echabot@hawkwatch.org). Here’s a cute GOEA nestling photo.